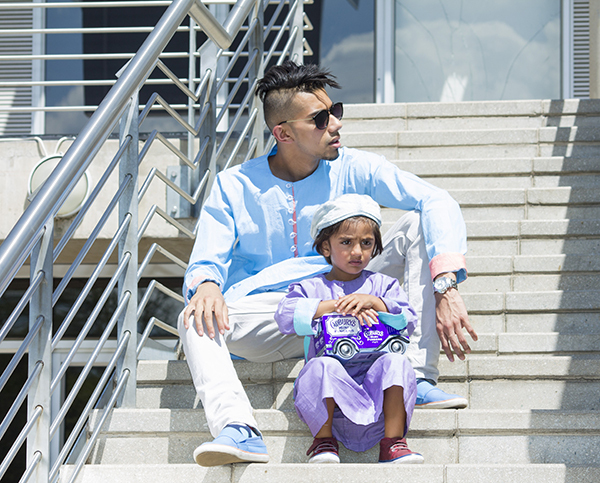 Looking at those around you…..
Don’t you always find yourself admiring the style of others? It could be their graceful walk or their handbag or their clothes or that shoe or maybe even just the charisma they exude! I will be using this platform to introduce you to some really stylish ladies. They are those ladies who are proud to be Muslimahs. They don that hijaab or niqaab with such passion! They inspire me! And I am “crushing” over their Style! 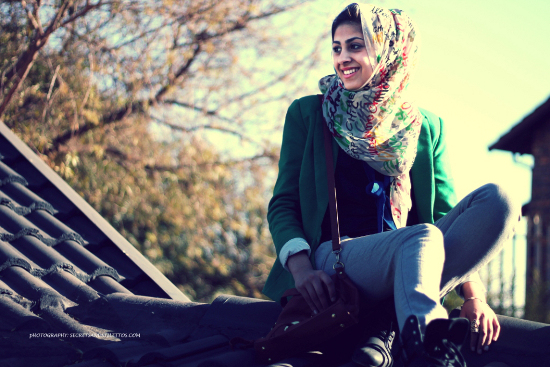 Let’s meet 18 year old humble, spontaneous and dynamic Fashion Design student Sabeeha. I am absolutely “crushing” over the BROGUE shoes! 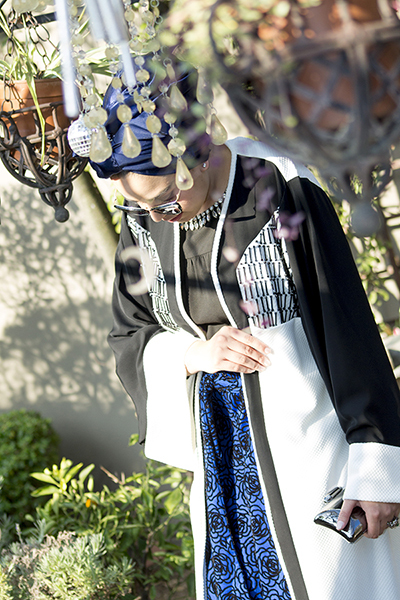 Blazers are such a clever cover up …..Oh so structured and chic! Sabeeha is so on trend….. 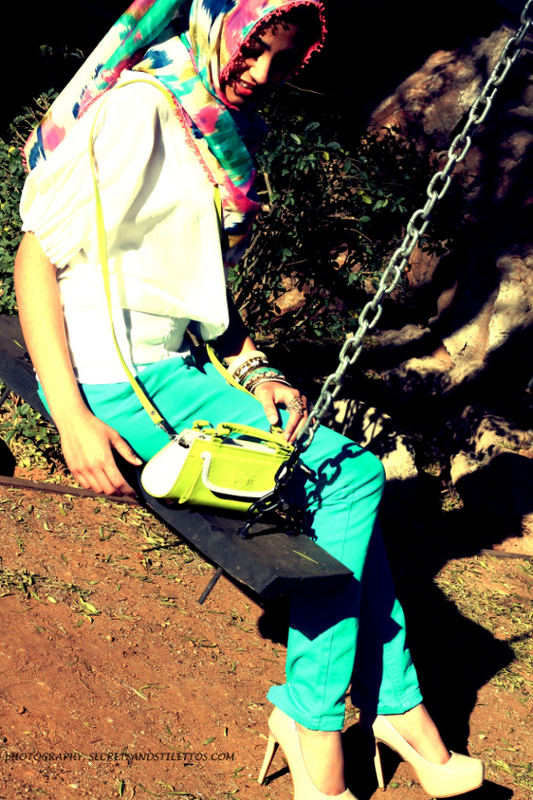 Here she is rocking 2 must-have season trends, coloured jeans and neon…..”Crushing” over the neon bag dear! Loving the red skinny belt too! This is my favourite look….. I am in love with the peplum silhouette! She wears it so well! Her dressing style inspiration sometimes comes from the colour of a shoe or a jacket, then she works around that, usually a mix and match throwing things together. She prefers affordable items but is insistant on good quality. Her biggest inspiration is her Mom! You have met the first of Nspired Style “Crush” Inspirations! 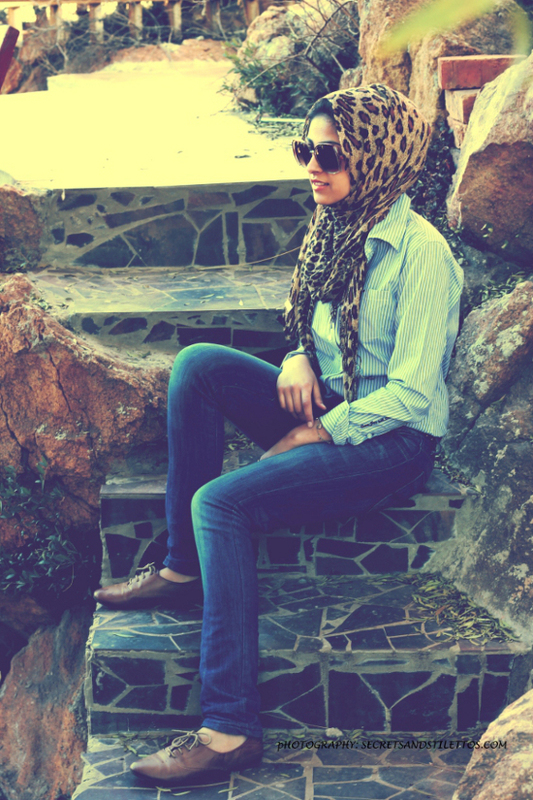 Only rule – U must be a Hijabi or Niqaabi ! So-You Style Crush. She works those accessories with style! Shahnaz I am sure being surrounded by such glamorous women has surely influenced your own style. inspired by my gorgeous granny,gran aunts and generations after;-) surrounded by such admirable, multi- talented women. MashaAllah Rizwana, its must be so fantastic to be surrounded by such inspirational women! I am prettey sure you will be an inspiration to generations to come too! Salaams. 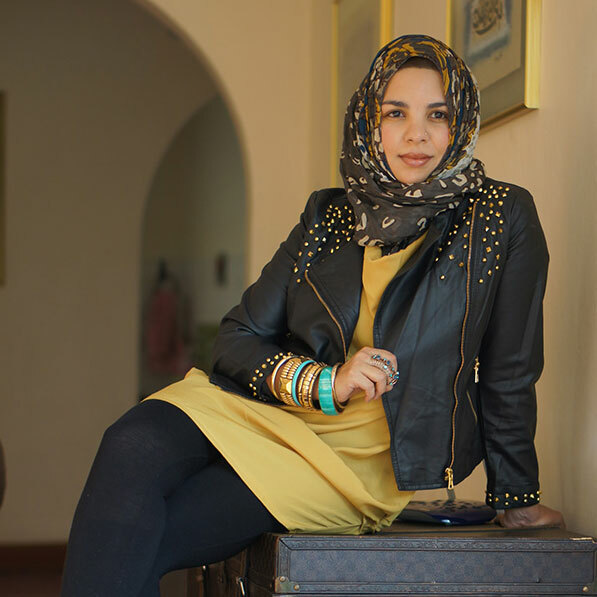 I recently just signed up to your blog.verry inspirational.the abayas are gorgous,you make wearing hijaab classy.pleaze email me your address as well as viewing times. Wasalaams Aadila. Thank You so much for the kind words! I have emailed you the details of my address as well as viewing times. Hope to meet you soon.